Anti-Gal is a human natural antibody which interacts specifically with the mammalian carbohydrate structure Galα1-3Galβ1-4GlcNAc-R, termed, the α-galactosyl epitope. This antibody constitutes approximately 1% of circulating IgG in human serum and is produced, upon stimulation, by 1% of circulating B lymphocytes. Anti-Gal is also present as IgA antibodies in body secretions such as saliva, milk and colostrum. The antigenic source for the constant production of anti-Gal seems to be the α-galactosyl-like epitopes found on many bacteria of the gastrointestinal flora. Whereas anti-Gal is abundant in humans, apes and Old World monkeys, it is absent from New World monkeys, prosimians and nonprimate mammals. The latter group of species produces, however, large amounts of α-galactosyl epitopes (> 106 epitopes per cell). It is estimated that anti-Gal appeared in ancestral Old World primates less than 28 million years ago, possibly as a result of an evolutionary event which exerted a selective pressure for the suppression of α-galactosyl epitopes expression by inactivation of the gene for the enzyme α1,3 galactosyltransferase. This also resulted in the loss of immune tolerance to the α-galactosyl epitope and the production of anti-Gal. The physiologic role of this antibody is not clear as yet. It may participate in the protection against gastrointestinal bacteria. In addition it seems to contribute to the removal of normal and pathologically senescent red cells by interacting with the few hundred cryptic α-galactosyl epitopes which are exposed de novo in the course of red cell aging, thereby opsonizing these cells for phagocytosis by reticuloendothelial macrophages. The α-galactosyl epitope has been found to be aberrantly expressed on human cells and the interaction of anti-Gal with such epitopes may result in autoimmune disease. Preliminary data suggest such a mechanism in Graves' disease. Anti-Gal has been found to interact with therapeutic recombinant proteins expressing α-galactosyl epitopes, but so far there is no indication that it affects the half-life in the circulation and the biologic activity. Detection of anti-Gal in the seminal fluid and in the cerebrospinal fluid may serve as a simple means for assessment of damage to the blood-genital tract barrier or the blood-brain barrier. 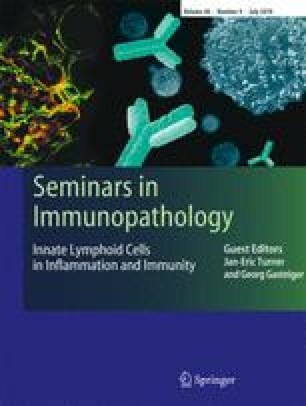 Studies on the interaction of anti-Gal with aberrantly expressed α-galactosyl epitopes on human cells may elucidate the possible role of anti-Gal in human autoimmune diseases.